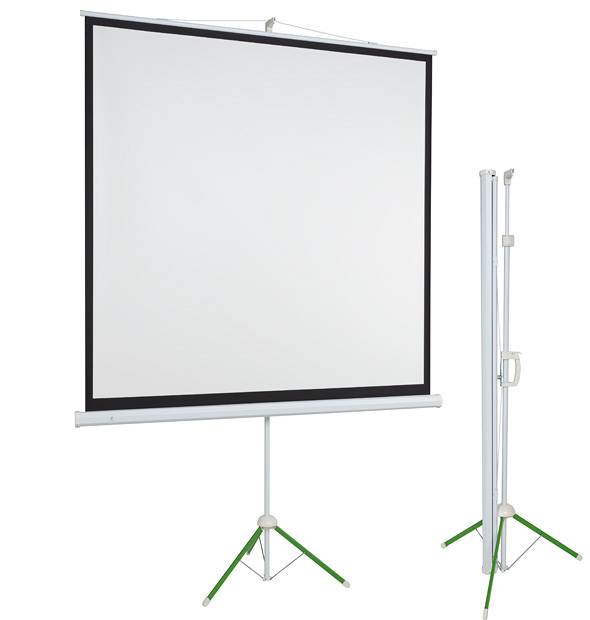 Portable Projection Screens – ecoBoards | 2×3 S.A. Most popular tripod screen. Strong top fixing. Matt white fabric. Foldable stand. Special locking for transport. 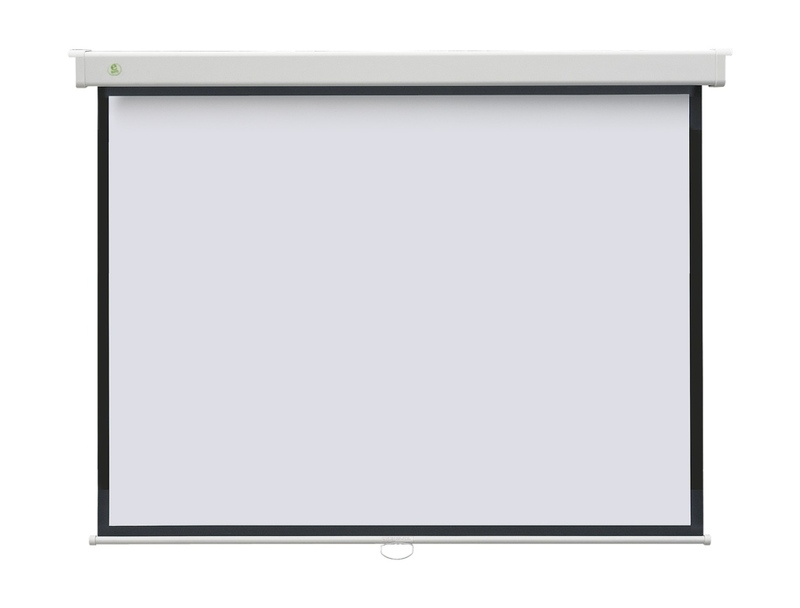 Characteristics: Projection screen, manual unwinding, easy to mount on a wall or under the ceiling. Matt White surface with black belt around increasing the contrast of the image. Has a silent spring powered wind back mechanism. Adjustable height as the winding can be locked at any moment. makes the structure very durable.